This is the 3rd article in a series that began as a single article and now appears to be becoming a 4 part series. The articles have been addressing the impact of Informal Networks on businesses today. The previous 2 articles detailed the reasons why management by Org Charts and job descriptions is an inferior way to build a 21st century organization and began to explain the importance of recognizing the impact of Informal Networks in the workplace. Because the concept of these networks are so new to so many I wanted to take the opportunity in this article to address some of their characteristics. I will also provide some insights on how to engage them such that they allow you access to them in order to release their vast potential into your organization. Those who become adept at engaging these networks will be the people who will build the most successful organizations and will have the most satisfying careers. To that end, the intent of this series of articles is to help show you how to do just that. This is an example of how different the worlds of Informal Networks and Org Charts are. Org Charts and job descriptions are things most people are pretty much forced to adapt to whereas Informal Networks are much freer. This is why they are so much more productive. • They are loyal to the cause. One of the reasons people form Informal Networks at work is to be able to work around inefficient Org Charts to more effectively get their jobs done. • They are social in nature. They abide by rules of social etiquette and have respect for the individual. • They are self policing. Problems are resolved by the participants. • They are self sufficient and resilient. They don’t need acceptance or permission from management to exist. • They function more as tribes than hierarchies. Leadership is fluid and alternates based upon the issue at hand and the competency of the individual. • They are brilliant. Because they are competency based and thrive on collaboration and interaction a much greater % of the collective IQ of the group is accessible and in play. • Leaders serve the group as opposed to commanding the group. Ego plays a much smaller role because the network doesn’t tolerate or empower one who is “all about themselves”. • They are subtle and elusive. If you are a threat to them, or try to overtly control them they will go underground and avoid you. • They are powerful. Anything that is this dedicated, creative, innovative, intelligent, resilient and flexible and has the support of the people is powerful. • Their hubs of influence are often not those empowered by the Org Chart. They empower only those people who have demonstrated competency in an area. Issues like office politics or seniority matter little to the network. • As you review these characteristics it becomes clear why it is imperative to learn how to interact with these networks. They possess tremendous amounts of capabilities that are unrecognized and untapped when operating your organization using Org Charts and job descriptions as the factors which determine “who” can contribute and “how”. In summary, it can be said that Org Charts and job descriptions serve to pigeonhole and limit employee involvement whereas Informal Networks seek to encourage and embrace employee participation. Every data network has nodes and hubs. 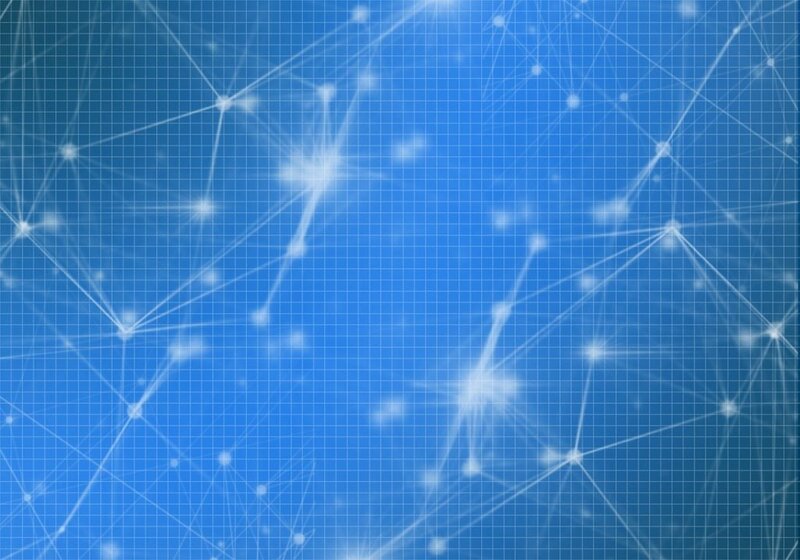 Nodes can be thought of as the individual computers in the network and hubs are those locations where significant traffic travels en route to the nodes in the network. In Diagram A Jane is the CEO and Ike is a divisional VP. But as you look at the diagram, which represents how the communications flows in the organization, it is clear to see that Diane is the most active person in this network. She has 6 direct connects to her, yet she doesn’t seem to possess a high position in the Org Chart. In fact, it appears as though she is largely in a support role to those people around her are higher on the Org Chart than she. If she is removed (either quits, gets fired or transfers) the operations of the organization will be severely affected, far beyond that which an assessment of her position via an Org Chart would ever indicate. This makes Diane is a very important lynchpin in this Informal Network. Next in importance are Fernando, Garth, Beverly and Andre. They each have 5 direct connects and then comes Carol and Ed with 3 direct connects each. But then they appear to be followed by Heather who while she only has 2 direct connects is absolutely crucial to Ike and Jane. And while Heather only has 2 direct connects her importance is key because she is the only link to the rest of the operation for either Ike or Jane. Heather represents the fact that its not always about the amount of direct connections but to whom you are connected which also matters greatly. Another difference between Heather and Diane is that Heather’s position is visible in the Org Chart whereas Diane appears far less significant. In Diagram B nodes D,F,G,H and I are a management team brought together to solve a problem that is affecting two departments being operated by D and I. In this diagram it is clear to see that G,F, and H while in the management team, have little or no influence in either department regardless of their positions in the company. But, what is interesting in this scenario, and different from Diagram A is that the most important lynchpin in the diagram is J even though it only has 2 direct connects. At first glance it would appear that B was most important because it has the most direct connects but I would argue that J is more important to the process. Why? Because if you remove node B, D still has influence with the other 3 nodes of the department through C. But if you remove J then you have lost influence over each of the 3 other nodes in that department. In a scenario such as this part of my leadership strategy would be for node I to establish better relationships with K. This lessens your vulnerability. While there is so much more to explain about how these networks operate and are configured I would like to go to the next step to give you some tips on how to interact with them in such a way so as to reap the benefits of the latent capabilities and collective genius they possess. Doing so will transform your organization in ways you could have only imagined before. The first thing to realize is that management does not and cannot control these networks. That pretty much says it all right there. Management is blind to these networks because the people want it that way. How often has management gotten in the way of progress through over active egos, unnecessary bureaucracy, executive politics or simply not understanding what really needs to get done? The answer is obviously “quite often” otherwise the people would have had no motivation to create these highly effective work- around solutions. And, if you are currently in a management position and are honest with yourself you will be able to identify ways in which you created work-arounds to get past the barriers of companies you worked in as you moved your way up the ladder. So we have all done it. With that being said let me give you a set of 8 principles which you can use as a manager’s guide to teach you how engage these networks in such a way that will help you gain access to these Informal Networks and the capabilities they possess. These principles are called the Bigger Know Principles. Based upon the premise that “You know what you know. I know what I know. And together we have a Bigger Know”. They take into account that there is a collective genius in every assembled working group that is exceeds the intelligence of any one individual. And that to the degree we can create a safe environment for people to share their ideas and knowledge will define the degree they will offer their “treasures”. But what follows will get you started. Simply read the summary of each principle and attempt to employ the thinking when you have a group assembled. The premise behind this first principle is that “You know what you know. I know what I know. And together we have a “Bigger Know”. The “Bigger Know” acknowledges the fact that there exists an active collective genius within every group. This powerful resource resides within the people who are already on the payroll, however, in almost all organizations it remains largely untapped. Once understood, activated and released this collective genius has a significant impact on an organization’s performance on multiple bottom lines. It maximizes the investment already being made in personnel. If you don’t agree with this first principle then stop here. Principle #2: Domesticate the “Dog”. The “Dog” is our EGO. A single over-activated ego can, and will, shut down access to the Bigger Know of an entire group. While we cannot eliminate our egos, nor should we try, an unleashed ego, much like an untrained dog, can be undisciplined, temperamental or domineering. Because of the fact that access to the Bigger Know is determined by how open and safe people feel to contribute anything that shuts down people shuts down access to your groups’ Bigger Know. Therefore, it is crucial everyone in the group keep their “Dog” on a leash and helps others to do the same. If you can’t get a handle on this principle almost all of your efforts to be granted access to the Informal Networks will either be denied or revoked later. “Listening is the Language of Respect.” Second to “Domesticating the Dog” this is the most challenging principle to follow. It is also the one that most activates the Bigger Know by engaging individuals and inviting their unique contributions and knowledge into the conversation. Then patient, honest and active listening allows those contributions to be mined as they appear and are put into play. Principle #3 provides the essential key that unlocks the door to the Bigger Know. It also serves to quiet and discipline the “Dog”. People always know when they are being judged and it never makes them feel good about themselves, their contribution or the one who is doing the judging. So they recoil in response. However, when one’s input is assessed, respected and evaluated based upon its merits, people remain engaged and fuel the Bigger Know with their involvement. Assessing is done with intellect and in the spirit of collaboration whereas passing judgment is emotional and kills participation. By Assessing you insure the best ideas are thoroughly heard and can be vetted with reason and without prejudice. Effective coaching is about advancing another person’s well being or their ideas whereas criticizing has the opposite effect. When it becomes necessary to correct someone’s actions or to redirect an idea that person’s participation in the Bigger Know process is at risk. If handled properly through coaching and not criticizing this experience expands and strengthens the group’s Bigger Know by helping its members to both learn and grow. Besides, “criticizing” is the sound of the “Dog” barking. In order for a group to begin to move forward they must strongly align on a common purpose. When they alilgn next is to establish agreements that support that which they have aligned upon. In the event the group gets stuck on an issue, and the group is still firmly aligned on the greater objective, the group should seek to “agree to disagree” and allow whomever has been empowered in the area of concern to make the call. This principle is a reminder “to not let perfection become the enemy of good”. It also is a reminder to stay focused on the objective and not the minutiae. that accompanies attachment be quick to pause. Then assess inwardly what is going on. Ask yourself if what you are attached to is more important that what you are committed to. If the honest answer is “NO” then relax, trust and Detach. Seeking to create the environment for your group’s Bigger Know to become activated and engaged is a challenging task. While the Principles provide an understanding of “Bigger Know” they do not guarantee a 100% success rate. Each group and every circumstance is different. It is difficult to keep “Dogs on leashes” and create nurturing environments that maximize people’s participation. So the goal is to begin the process; learn about your self and others and do the best you can as you are learning to do even better. If you can practice following these principles you will begin to be granted access to the inner workings of these fertile Informal Networks and will learn how to successfully interact with them. If you need help understanding any of the principles or want to learn more about how these important networks function send me an email at jdeckman@capabilityaccelerators.com. I will be happy to talk to you. Next month I will discuss the 6 types of networks I seek to identify, understand and work with inside of companies. I will also describe an innovative new 3 step process called a Capability Assessment which revolutionizes the way companies and the individuals within them see themselves and interact with one another.